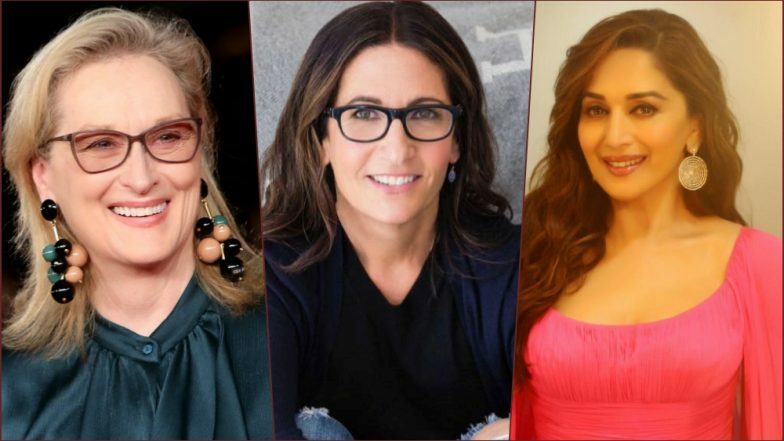 New Delhi, April 13: Global make-up icon Bobbi Brown, who found global fame by following her passion to make women look beautiful in a natural way, finds the idea of her life story finding a way to the silver screen overwhelming. "That would be overwhelming," Brown told IANS when asked about the idea of a film based on her life. Whom would you like to bring your life alive on the big screen? "Maybe Meryl Streep from Hollywood or Madhuri Dixit from Bollywood," she added. Malaika Arora and Tamannaah Turn Muses for Bobbi Brown at India Makeup Show 2019. At the moment, Brown is happy to dive into the myriad hues of Indian culture. She is excited about her maiden trip to the country for the debut edition of the India Makeup Show. Curated by Brothers Incorporated, founded by Rahul Tuljapurkar and Ninad Shah, the two-day show, which began in Mumbai on Friday, will come to Delhi on April 20. She looks at India as a "land of magic". "I wanted to visit India for such a long time. I love the rich history and the culture and can't wait to soak it all up. I'm looking forward to seeing all of the sights, eating delicious food and meeting new people," Brown told IANS in an email interview. "I'm really looking forward to eating at Bombay Canteen. My friend Floyd Cardoz owns the restaurant. And of course the Taj Mahal," she added. The make-up artiste has expressed her desire to work with star Priyanka Chopra Jonas, and feels "Indian beauty is confident, modern and diverse". Elaborating her view, the 61-year-old said: "The make-up looks in the country range from the over the top to traditional to a cleaner, more modern look. I love the diverse mix of looks and trends. Most importantly, everyone in India always looks so beautiful. Anything can look and feel beautiful on Indian skin." "Leaving the company that I founded came with a mix of sadness and excitement. It gave me time to reflect on my experiences being an entrepreneur, creative, beauty expert, health and fitness advocate, author and editor-in-chief. "In doing that, I saw an opportunity to create all of these new ventures. This transition has opened a new chapter of my life and so far, it's been an exciting ride." Brown, whose affair with make-up started by watching her mother's beauty rituals, launched a beauty and wellness company Evolution_18, through which she comes out with collections which are all about beauty from the inside out. What about creating an India specific range? "I would love to and I hope to meet like minded partners on my outing at the India Makeup Show."